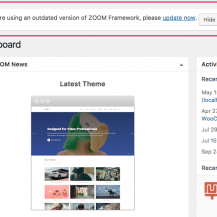 WPZOOM Shortcodes are now available as a free plugin on wordpress.org. Among numerous features of our framework, it also includes a wide selection of shortcodes. You can create more dynamic and flexible post and page layouts with the help of columns, buttons, lists, etc. When you go to edit a post or a page, you’ll find a Shortcode Generator button in the post editor window. 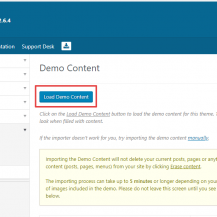 This button allows you to insert any shortcode into your post or page. If you don’t have this line, simply add it to the end of the functions.php file of your theme, and then you’ll be able to use Shortcodes in Widgets. Alternatively you can enable usage of Shortcodes in Widgets using this plugin. You can preview all available shortcodes in the demo of each of our themes: Shortcodes Demo.